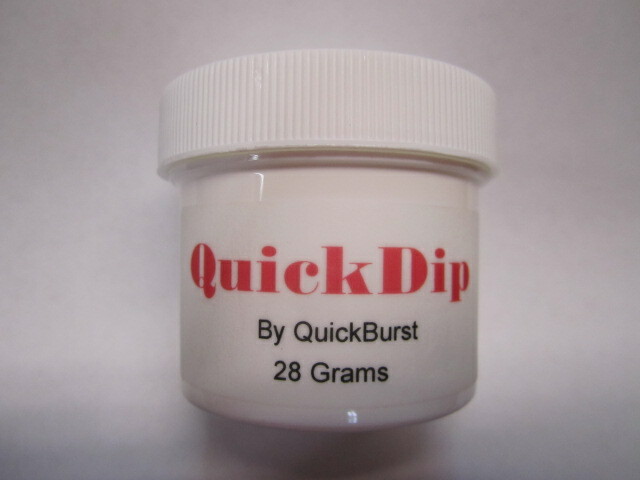 28 Gram bottles of QuickBurst QuickDip sell for $35.00 each. QuickDip pyrogen, comes in a resealable plastic bottle and is very simple to use. Twenty Eight grams of the mix will make a boatload of igniters. All you do is thin the mix with acetone (available at most Home Improvement/Hardware) stores to the consistency of thick maple syrup and dip away. I suggest dipping then allowing the mix to harden a few seconds, then re-dipping until you get the desired thickness. Each bottle comes with complete instructions and QuickDip can be re-thinned as many times as necessary. 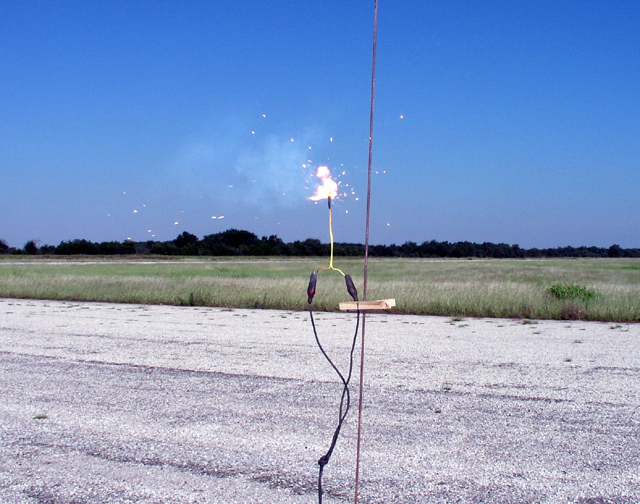 Now you can make your own High Power Igniters, and make them perform as needed. The solvent used in QuickDip is acetone and acetone evaporates rapidly. If your QuickDip dries out during storage you can always reconstitute it by thinning with acetone. Try storing your bottle of QuickDip in a Mason jar. The Mason jars seal very well and will help preserve the product.